Dr. Joseph R. Craig received his undergraduate degree from the University of Virginia and his graduate dental degree from the Medical College of Virginia. He is a member of the Florida Dental Association, West Coast Dental Association, Pinellas County Dental Association and American Dental Association. Dr. Craig represents the Pinellas County Dental Association in Tallahassee as the Lead Contact Dentist for dental issues that come up before the Florida House and Senate legislations. He and his wife Carol have two children. Dr. Craig participates in triathlons, plays tennis and golf. His past community activities include little league baseball coach, soccer coach, and cub master for six years for his son’s Cub Scout pack. R. Andrew Powless, DMD grew up in the small town of Flora, Illinois as the oldest of three boys. As an avid athlete, he was his high school football quarterback and excelled competitively at Division 1 tennis throughout college. Dr. Powless studied Chemistry in western Kentucky at Murray State University (MSU). After graduating early, he was accepted into dental school.. 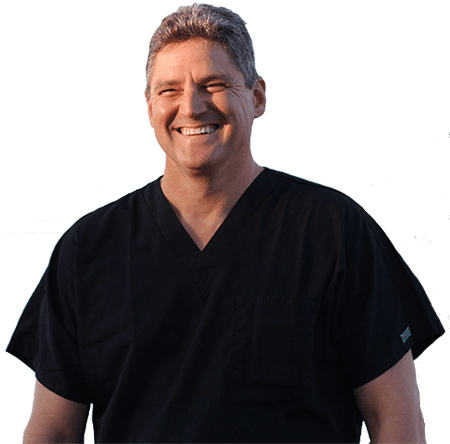 In 1992, he completed his Doctorate of Dental Medicine at Southern Illinois School of Dental Medicine while participating in the Illinois Dental Society, the Chicago Dental Society, and serving as class President from 1988-1992. With guidance from the University of Miami, Dr. Powless completed his Externship in Oral and Maxillofacial Surgery at Jackson Memorial Hospital. He continued on and successfully fulfilled his Postdoctoral Oral and Maxillofacial Surgery Internship at Louisiana State University in 1996. Dr. Powless now serves as Vice Chief of Dental and Oral Maxillofacial Surgery at Tampa General Hospital. He presently is the Program Chairmain for the Woehler Research Group along with active memberships in the American Dental Association and Florida Dental Association. In his free time, Dr. Powless enjoys spending time with his wife Willa, and three children: Ava, Johnny, and Jake. You can catch the family flying planes, boating, diving or at the children’s school sporting events. Dr. Powless opened Florida Special Care Dentistry in 2000, treating patients and families from pediatric to geriatric. We care for all of our patients as if they were family. Dr. Powless has over 20 years of experience working with children and adults with mental, physical and developmental challenges. He is very patient, gentle, and genuinely cares about his patients. Dr. Powless and his staff are fully trained to care for these individuals who may have difficulty receiving dental treatment in a traditional environment. We offer dental care for the entire family including general dentistry, exams, digital x-rays, intra-oral pictures, emergency care, extractions, fillings-silver and tooth colored. Patients’ dental needs many times require treatment outside of the usual general dentistry services. We realize this and offer many additional services such as: sedation- in-office or at Tampa General Hospital, special needs dentistry, root canals, oral surgery, and much more. In his free time, Dr. Matos enjoys: Baseball, Football, Hockey, antique cars, nature walks with his dogs Toby & Coco, also loves old westerns. Most of all, he loves spending time with his family wife, Mary, and his children, Alex, and Rebeca.